BIRN Albania’s documentary ‘Free Flow’, which follows the resistance of villagers, activists and civil society to the construction of hydropower plants in Albania, was screened on August 12 in Sarajevo. The screening, which was hosted by Civil Rights Defenders, aimed to highlight the decade-long struggle of local activists for water, property and environmental rights which were being threatened by energy companies and politicians. Directed by film-maker Elton Baxhaku, the documentary follows villagers, activists, scientists and artists as they try to draw attention – in court and on the streets – to the threat posed to the environment and the local eco-tourism industry. After its premiere in Tirana on June 11, BIRN Albania has held several screenings of the documentary in affected areas like the villages of Polis and Valbona, and for a more diverse audience at Dokufest, the international short film and documentary festival in Prizren, Kosovo. 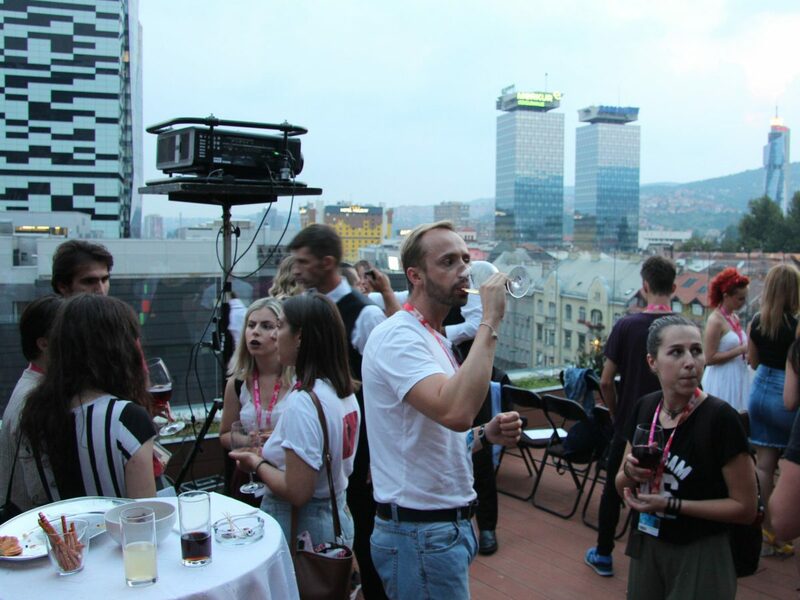 Sunday’s screening in Sarajevo was the sixth screening of the documentary held by BIRN Albania and partners. It was followed by a panel discussion moderated by Ena Bavcic and Vasilika Laci, programme officers of Civil Rights Defenders in Bosnia and Herzegovina and Albania, with the participation of film-maker Elton Baxhaku. Further screenings will follow in Albania in the autumn.